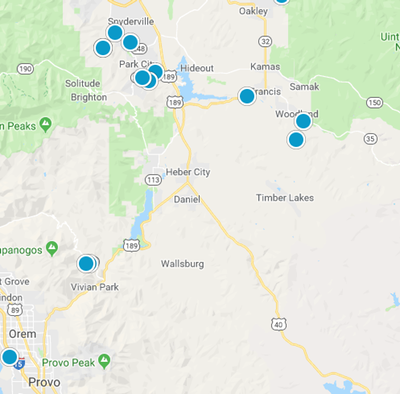 Out Team has become one of the leading Summit and Wasatch County real estate teams because of our strict focus on providing the highest level of service to our clients. When you choose me to Sell your home you will be hiring a skilled, experienced local expert to sell your home. All of your interactions will be with that skilled and experienced local expert not a freshly licensed sub agent or hourly wage assistant. When you call me your calling my cell phone number directly and I will be right there with you the entire time to handle any issues and answer any questions that might come up. To have the time clients deserve available to you, I have a marketing person, technology person and transaction assistance who handle the many things that take away from an agent being able to be there for their clients. That way I can be available for you when you need me. 2. Internet Advertising- Since the lion's share of home buyers starts their search on the internet, top placement on search engines is essential. You'll gain access to placement on Google, MSNBC, and other websites. This will maximize your exposure and bring a large number of potential buyers to view information about your home. Email: Targeted announcements to our buyer prospects database. Home Listing Syndication: Your home can be advertised on websites all across the web, making sure buyers see your home and everything it offers.